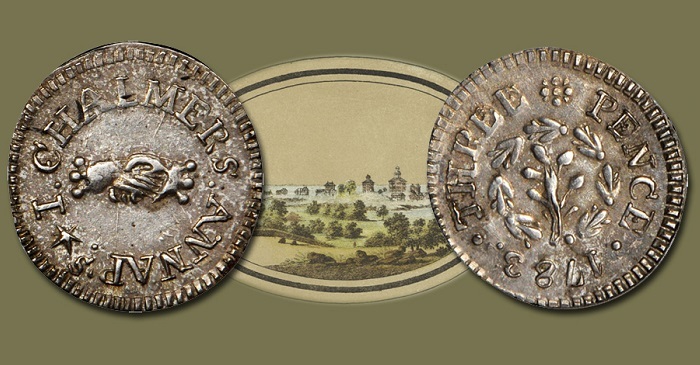 This AU-58 1783 Chalmers threepence is being offered as part of the Cohasco Collection in the Stack’s Bowers October 2018 Official Auction of the Whitman Coin & Collectibles Baltimore Expo. 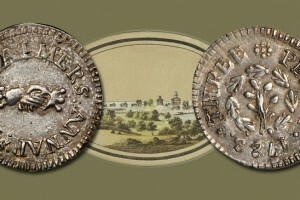 Assembled in the 1960s and comprising over 425 pieces, the Cohasco Collection touches upon a wide range of colonial issues including Massachusetts silver, St. Patrick coinage, the coins of William Wood, state coinages, and Fugio coppers, among many others. Also appearing in our October Baltimore Auction are a number of additional rarities including an AU-58 1792 Birch cent and an AU-58+ 1792 disme in copper, both from the Archangel Collection of Colonial and 1792 Coinage. The sale will be available for viewing and bidding on their website, or you may contact their offices to secure a printed catalog. To speak with a numismatic representative, please call 800-458-4646 or email Info@StacksBowers.com.